You are here: Home / Books / Quran / ‘Love of Allah’ in Urdu. 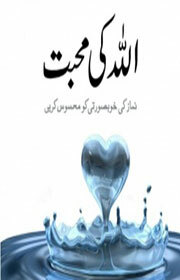 ‘Love of Allah’ in Urdu. We encourage all to read the book and share it with family and friends – Share the reward! As with all Qur’an Project publications – there is no copyright and no rights reserved. Any part of this publication may be reproduced in any language, stored in a retrieval system or transmitted in any form or by any means, electrical, mechanical, photocopying, recording or otherwise without our permission, as long as no changes are made to the material. Please kindly send us notification for our records.